If you are a prospective student looking for information about our part-time undergraduate and accelerated degree programs, please visit our Center for Adult and Continuing Education. 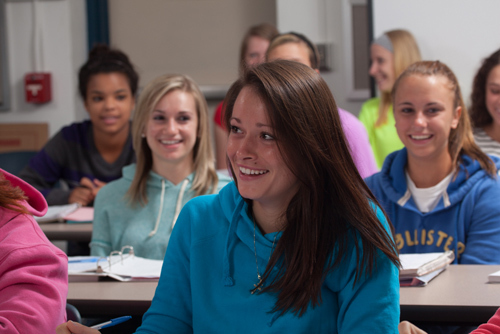 If you have a question regarding applying, visiting, or enrolling, please contact the Admissions Office at admiss@misericordia.edu or (866)262-6363. The University has determined that in the best interests of the students, the institution, and the community, that all traditional entering first-year students whose permanent residence is further than a 40 mile radius of the University are required to live in campus housing for a minimum of 2 academic years (4 academic semesters). Read more about the policy in Residence Life.